Thanks for showing up! 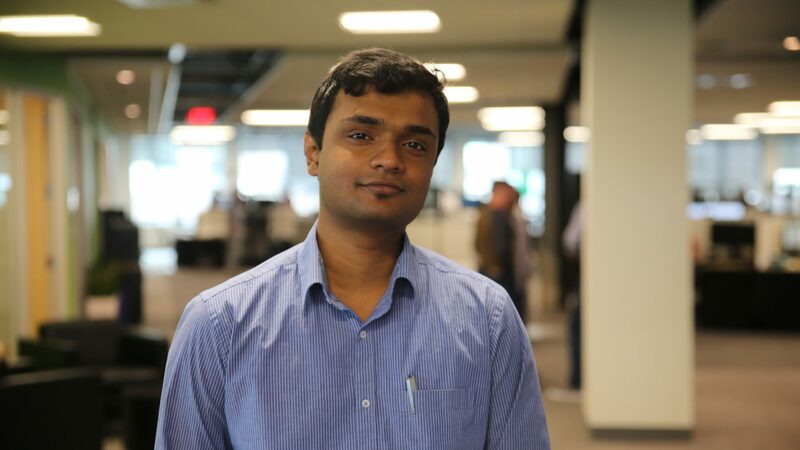 I’m Keshav (Kay-Shove, that’s how you say it) Vasudevan, and I love building and scaling applications. I’ve worked in Product Management, Product Marketing, and Development, and enjoy the hustle of moving fast and breaking things. A big focus of my life right now is to bring ideas to fruition, and there’s no better rush than to take an idea from concept to the market. Life’s too short, and I hope to do wonderful things with wonderful people for the better of society. Currently, I’m the Product Manager for LoadNinja, SmartBear’s performance testing platform on the cloud. I’m responsible for driving the product strategy and execution for the platform. I was part of the core team to build and market LoadNinja in-house, all from the ground up. LoadNinja brings a revolutionary new approach to load testing with it’s patent-pending InstaPlay Recorder, allowing users to record instantly usable test scripts without the need for doing any programming or dynamic correlation, saving over 60% of time and effort. LoadNinja also generates the truest form of load with real browsers at scale. Prior to this, I served Product Marketing Manager of the open source Swagger framework, and SwaggerHub, at SmartBear Software. I help communicate the value of definition driven API development to the software ecosystem and developer community. I’m also responsible for the product marketing strategy and execution of Swagger based products, translating product value into actionable recommendations to help teams succeed in the API economy. I also worked as an Associate Product Manager in SwaggerHub’s early days, helping manage the overall execution of the product’s vision. Apart from this, I enjoy working on various side projects, meeting and talking to new people, reading, keeping my mind and body active, volunteering, and designing. Hope you enjoy my website, which gives you a glimpse into my thoughts, the work I’ve done in the past, and what I plan on doing in the future. Happy browsing!